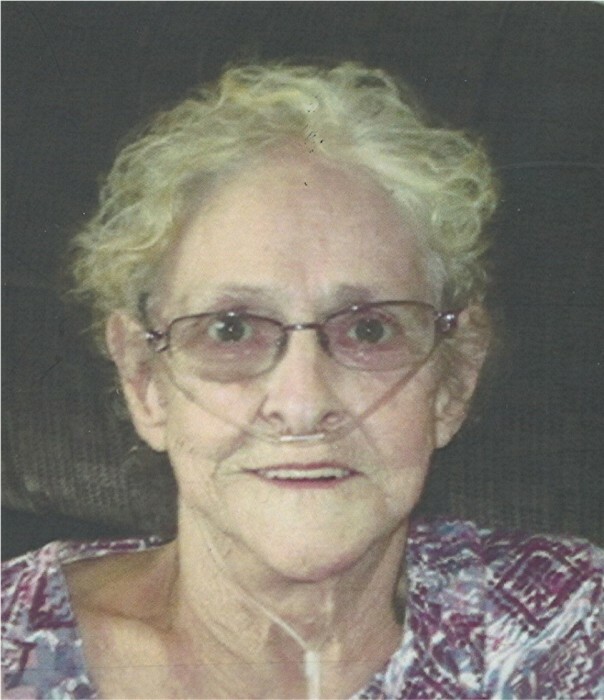 Obituary for Irma E. (Cook) Greenawalt | Timothy A. Berkebile Funeral Home Inc.
Irma E. Greenawalt 77, of Bedford, died October 11, 2018 at Donahoe Manor Nursing Home. She was born on May 20, 1941 in Bedford, a daughter of the late William and Beatrice (Batzel) Cook. On August 2, 2008 at the Pleasant View Mennonite Church, in Schellsburg, she married Homer Greenawalt who preceded her in death on May 27, 2009. She is survived by the following family: a son Robert Hockenberry, of Bedford, a son Kevin Cook and wife Pam of Bedford, a daughter Beatrice Smith and husband Glenn, of Bedford, a son Alan Marshall of Bedford, and a son Michael Marshall and wife Karen, of Johnstown; 11 grandchildren: Randy Lee Hockenberry, Devin Cook and wife Kylie, Kristina Layton and husband Donald, Elisesha Yingling and husband Jim, Kristopher Whetstone and wife Erika, Kirstie Smith, Lanie Marshall, Avery Marshall, Aiden Marshall, Justin Schmidt and wife Ashley, and Rey Flores; seven great-grandchildren: Koen, Kash, Nevaeh, Vincent, Annika, Madison, and Bennett; numerous nieces and nephews; a brother, Harry Cook and wife Cindy, of Everett; and four sisters: Margaret “Peggy” Stone and husband Richard, of Bedford, Ethel King and husband Ronald, of Bedford, Linda Dixon and husband Raymond, of Bedford, and Bonnie Baughman, of McConnellsburg. She was preceded in death by a daughter Sheila Hockenberry, a granddaughter, Coty Marshall, and two sisters: Patricia Jay widower Eugene surviving of Clearville, and Brenda Varner. Irma was a member of the Church of Jesus Christ of Latter-day Saints. She enjoyed fishing, bingo, playing the lottery, puzzles, and traveling with her husband. Irma was looking forward to attending UPMC Center for Community Life. She dearly loved all her grandchildren and great-grandchildren, and will be missed by her dog Fluffy. A memorial service will be held on Tuesday, October 16, 2018 at 11:00 a.m., at the Timothy A. Berkebile Funeral Home, with Sam Shephard officiating. Friends will be received on Monday, from 6-8 p.m., at the funeral home. In lieu of flowers those wishing may make memorial contributions in Irma’s name to: Pittsburgh Care Partnership, 9709 Lincoln Highway, Bedford, PA 15522. Our online guestbook is available at www.berkebilefuneralhome.com.